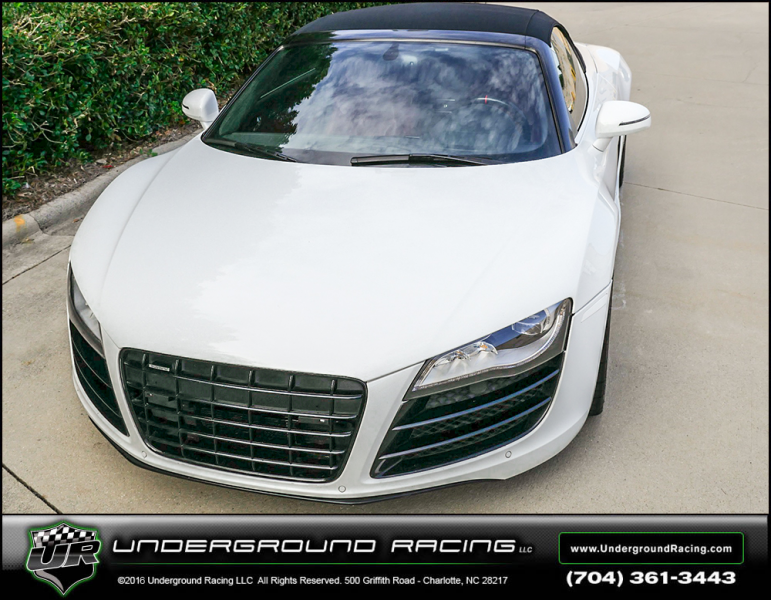 Another Underground Racing Twin Turbo R8 headed to NY. 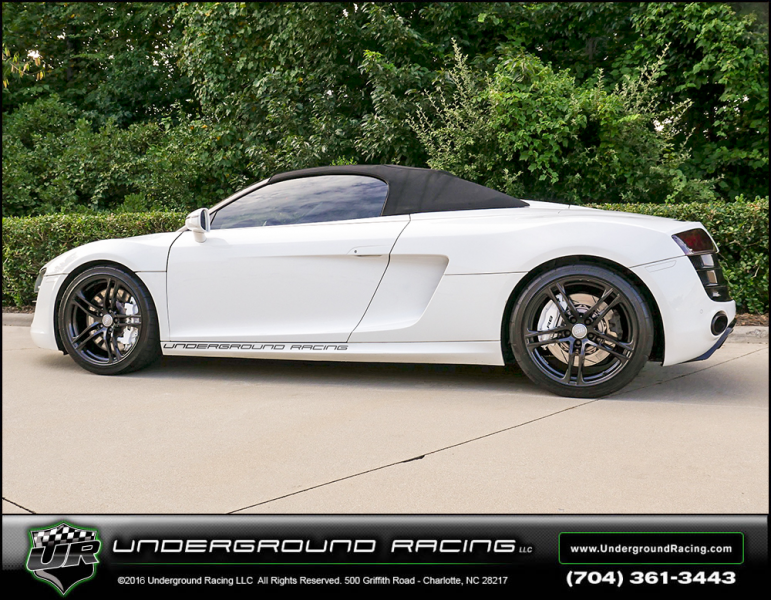 Thanks to Allen for choosing Underground Racing to Twin Turbo his 6 speed manual V10 R8 spyder. Allen went with our the Stage 2.5 setup that comes with a fully built engine. 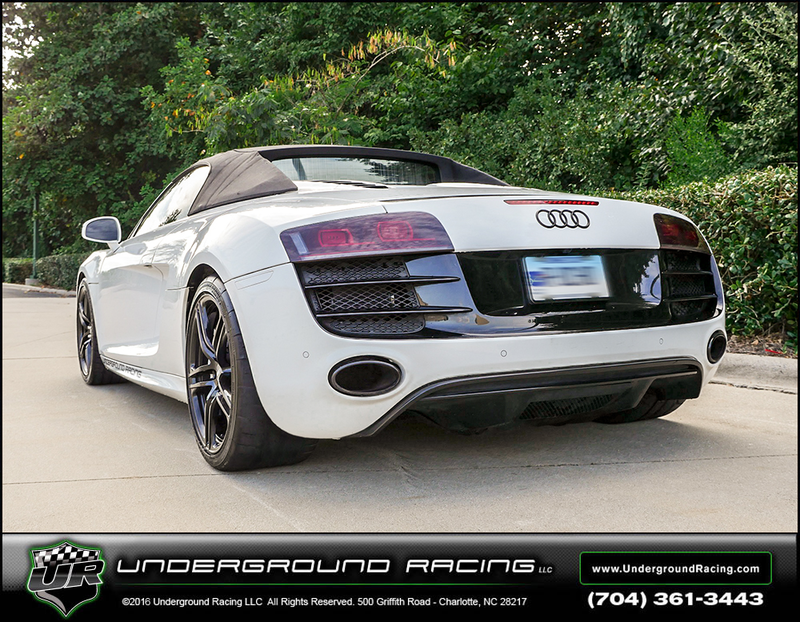 On the dyno, the R8 made aprox 950 whp on 93 octane pump gas and on race gas (MS109) it made 1200whp. We also went with our level 2 ceramic clutch setup. As always just like the TT Gallardos, this TT R8 has the JRR MoTeC M1 ECU with the PNP custom MoTeC harness as well as the normal boost by gear setup. 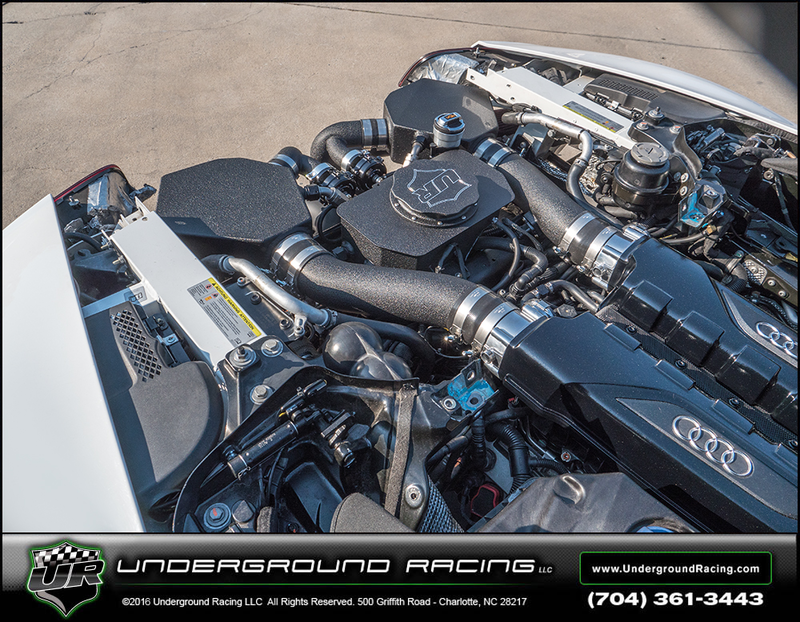 This Underground Racing build comes with a 2 year 24,000 mile warranty.